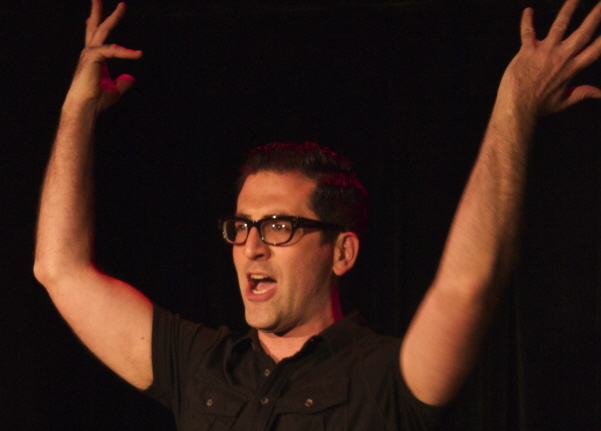 Director Ben Rimalower is making a second career of turning life’s lemons into the lemonade of serio-comic one man shows, which he performs rather than directs (Aaron Mark directs Rimalower, and you have to give Mark credit for having the requisite boldness to direct a director). First there was Patti Issues, which detailed his complex relationships with both his heroine Patti LuPone and his own father. Now, in Bad with Money, he goes into his even more complex relationship with cash and credit. While Rimalower again brings wit and humor to the story – especially jokes and references designed to tickle theatre fanatics and insiders – the tone here is a bit more shaded and muted. He’s come to some kind of resolution in his relationship with Patti and Daddy; not so much with his addictive desire for the more, more, more than money can buy. As such, Bad with Money isn’t as quite as breathlessly entertaining as Patti Issues. Neither does it have any particularly deep insights into the consumer culture that so grips Rimalower. This isn’t a huge problem, and in a way makes for a more truthfully ambivalent story. While his stories about going into prostitution are salacious and mostly fun, the stories about charging a boss’s account and dipping into a show’s budget are more dark and poignant. 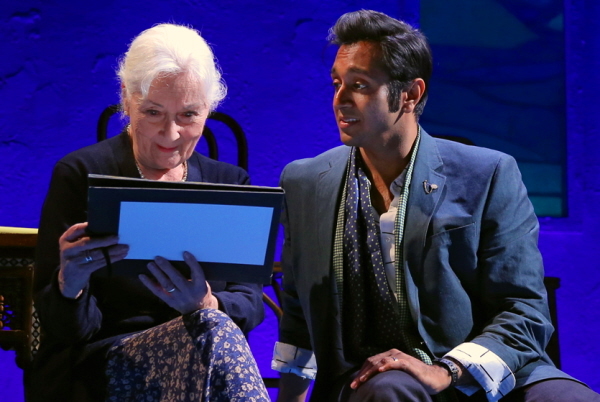 It’s a complex story, involving lots of travel around the country, a large cast (though Rimalower only acts out a handful of the people he mentions), name changes and the difficult ebb and flow of a life in the theatre. It testifies to Rimalower’s skill as both writer and performer that very nearly every moment is crystal clear. Recommended. This is definitely one of the warmer plays by the notoriously cerebral British playwright Tom Stoppard. Indian Ink follows fictional Modernist English poet Flora Crewe (Romola Garai) as she visits India in the 1930s, where her intricate relationship with Indian artist Nirad Das (Firdous Bamji) evolves against the backdrop of Gandhi’s nonviolent protest against the British salt monopoly, often called the “Salt March”. Fifty years later, in 1980s England, her younger sister Eleanor (the ever-luminous Rosemary Harris) is at pains to protect her controversial sister’s name and legacy. Stoppard wrote Indian Ink shortly after his highly acclaimed play Arcadia, which also tells intertwining stories split by wide divides of time. I like Indian Ink a bit more than the better-known Arcadia – the terrain of India, removed from the buttoned-up world of the English gentry, gives a more open feel to the play, and a wider and more varied aesthetic canvas on which to paint. Director Carey Perloff keeps all of that complicated interweaving crystal clear. Garai may not be the ideal Crewe – there’s little of the Modernist rebel that’s in Stoppard’s lines in her demeanor – but she does a more than creditable job, showing dynamic range in Flora’s reactions toward the diverse personalities that disturb her while she is trying to recover her strength. Overall, a nuanced and moving performance. Harris is never less than magnificent, but she’s given little to do here. Eleanor is decidedly more conservative and properly “English” than her sister, which severely limits the range of what Harris can openly express. You can bet, though, that Harris has worked out a more dynamic inner life for Eleanor – you can see it clearly in the odd warmth she gives this chilly woman. I do certainly appreciate Stoppard’s insights and intelligence, but I’m never going to be his biggest fan. Even with that, I found much to actually enjoy in Indian Ink. Recommended. 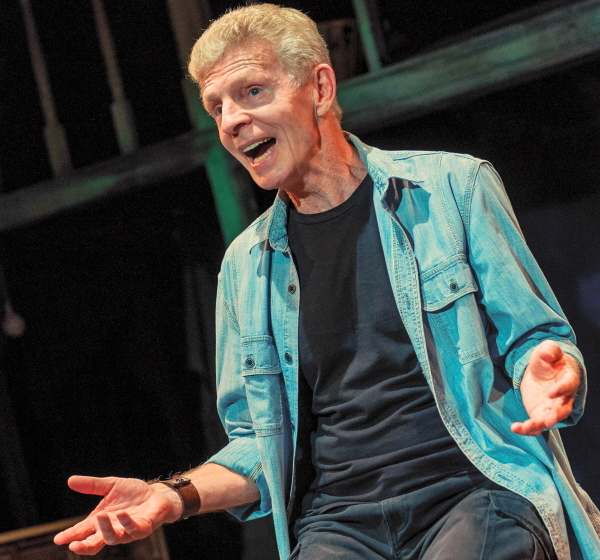 In Riding the Midnight Express, Billy Hayes has created a riveting one-man show, detailing his time in Turkish prisons and his daring escape, taking pains to make clear the distinctions between the movie version of Midnight Express and what actually happened. Hayes had been smuggling hash out of Turkey for some time before he was arrested in Istanbul in 1970. A combination of over-confidence on his part and changing international politics landed him in prison for 5 years. One of the major misunderstandings caused by Oliver Stone’s sensationalist screenplay for Midnight Express is that Hayes holds any resentment towards Turkey for what happened to him. He still loves the country and that’s one of the major keynotes of this one-man show. Further, the phrase “riding the midnight express” refers to the long, difficult journey Hayes faced after he escaped from prison, which is not detailed in the movie at all (it ends when he walks out of the prison). In the one-man show, this is actually one of the more compelling parts of the evening. His story is packed with innate drama, and, with the help of director Jeffrey Altshuler, Hayes delivers it with an easy combination of personal charm and sly, subtle theatricality. Hayes has shaped his story into a well-crafted evening, but his real emotions about the story he lived through keep coming through, which makes it all the more gripping. Highly recommended. This play celebrates the joy of being different, being yourself, more than almost any other play out there, which long ago earned it a special place in my heart. The Sycamores are a family of happy eccentrics (who have always reminded me of my happily eccentric family), led by easy-going paterfamilias Grandpa Vanderhof (magnificently played here by James Earl Jones). When youngest daughter Alice (Rose Byrne) invites her fiancé’s straight-laced parents over for dinner, Grandpa and company find they must heartily defend their unusual way of life. Director Scott Ellis has kept the proceedings appropriately fast-paced and light-hearted, paying careful attention to making distinctions among this household’s wide variety of personalities. David Rockwell’s set perfectly captures both the eclectic chaos and the liberated spirit Grandpa’s philosophy has unleashed. Jones has always been capable of a light touch, it just isn’t what is usually asked of him. You Can’t Take it With You gives him ample opportunity to apply such a touch – this is, after all, a man who relishes relaxing into life. And the result is wonderful: gentleness backed up with kilowatts of reserved power. This is definitely an ensemble show, though, and what an ensemble! It’s lucky that Rockwell has designed such a massive set, and surprising that the scenery hasn’t been entirely chewed away at the end of every evening (I mean this as a compliment, by the way). Julie Halston, as a soused actress, has one of the smallest parts in the show, but treats it like a full meal. 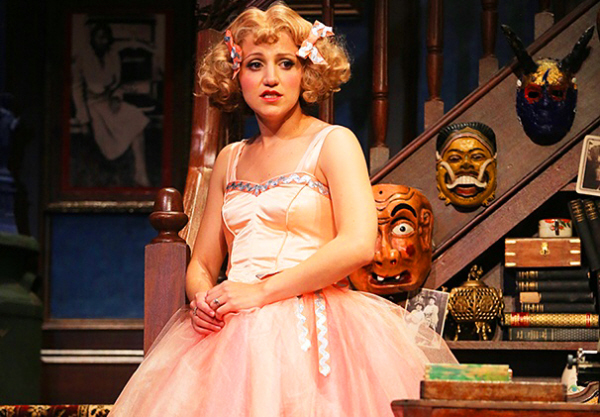 Annaleigh Ashford hits the show’s sweetly hilarious tone most effortlessly as the forever en pointe would-be ballerina Essie. The title refers to the money that 9-to-5ers and salarymen are forever chasing after, and to the fact that, in the final analysis, money has little to do with finding happiness here and now. And that’s a message that’s just as needed now as it was in 1938. Highly recommended.